restraining › Buy Poster of Blue female restrained coat buttoned. Women's outerwear.Women clothing single icon in black style vector symbol stock web illustration. Poster of Blue female restrained coat buttoned. 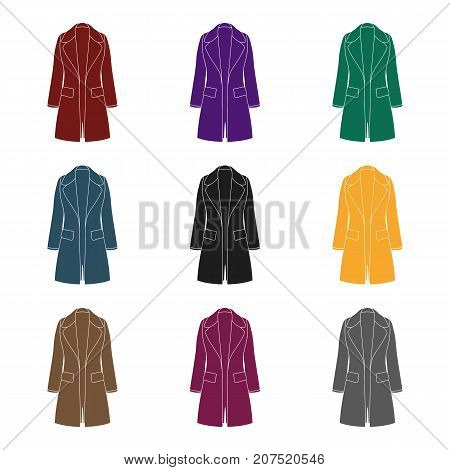 Women's outerwear.Women clothing single icon in black style vector symbol stock web illustration.